Let's meet Round Squares Studios, a two man development team from North Wales. Part of Transfuzer 2017, they're currently working on two very interesting gaming projects. 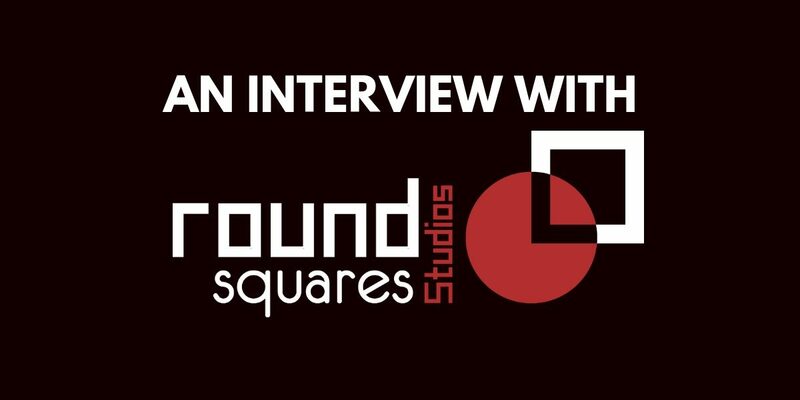 Last month I had a chat with Ricky Barnett of Round Squares Studios. 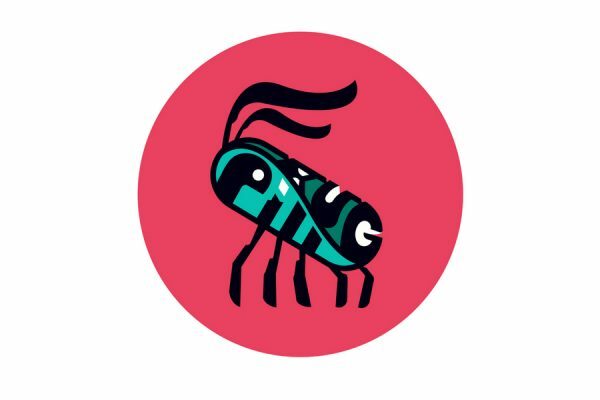 This small indie development team hails from Wrexham, beginning in Glyndwr University (like a great deal of Welsh game talent!) and consists of Ricky who is the programmer and technical artist, and Michael Walls who is the 3D artist. Together they’re working on two projects – Beyond Arm’s Reach and Warriors of Ragnarok. Hi Ricky. Let’s start at the beginning! Did you always know you wanted to go into game development, what inspired you? Not exactly, I made the decision back in high school during year 9. At the time I had to choose my options, so it got me thinking a lot about what I wanted to do. I bounced around a few ideas mainly looking at things I enjoyed and interested me. After some time, I came to the decision that I wanted to go into the games industry in some form. So since then I have focused my education around what I felt would be beneficial for me to get into the industry. What are the favourite games from your childhood? I think they were Spyro (the first three), Ratchet and Clank and Jak and Daxter. What are you currently playing right now (or most recently)? At the moment I’m playing God Of War again, I recently got all the trophies but it left such an impression that I want to go back and try and beat the hardest difficulty. We’ve had a lot of chat about God of War on the Welsh Gaming Network Discord – all positive, so you’re not alone there. 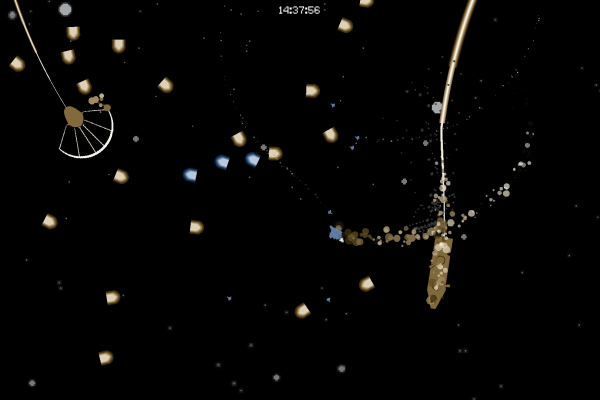 Let’s talk about game development. Where did the name “Round Squares Studios” come from? The name was completely random. Before we started our third year at university we formed the team and at the time we were more concerned about the product we would develop. So we started putting random things together till one of said “What about Round Squares?” since then it stuck. I like it! In 2017 you were a finalist for Transfuzer. What was that like? It was an amazing experience. Going straight from completing a degree to Tranzfuser was quite a change going from being students to essentially running a company, though it pushed us and afterwards we ended up forming the company. I can imagine that was quite an adjustment. At the moment you’re working on two projects. Beyond Arms Reach is already listed on Steam and there’s quite a bit of information as well as gameplay footage available there. But your other project, Warriors of Ragnarok is a bit of a mystery! What’s your inspiration for that? At the time I was playing a lot of strategy games, such as StarCraft 2. So in between Tranzfuser ending and starting my masters, I played around with a few game ideas, and I wanted to make a simple strategy game. I later used the project for an assignment, so when deciding on the theme, a Norse theme seemed to work well, so we decided to run with it for Level Up 2018 then maybe look at other options. After the feedback we got from Level Up 2018 we decided to keep the Norse theme. You’re currently writing your dissertation for a masters degree, balancing freelance projects and trying to make progress on Beyond Arm’s Reach and Warriors of Ragnarok, that sounds like a lot of work! Do you enjoy having your own studio and working freelance, or are you aiming to join a larger development company in the future? Yeah, I’ve got a lot going on at the moment. My dissertation is taking priority and thankfully it’s close to being complete. At the moment I prefer running my own studio, I don’t mind working with other companies, but I enjoy having the creative freedom as well as being able to give back to Wrexham Glyndwr university, by support students with mentoring. 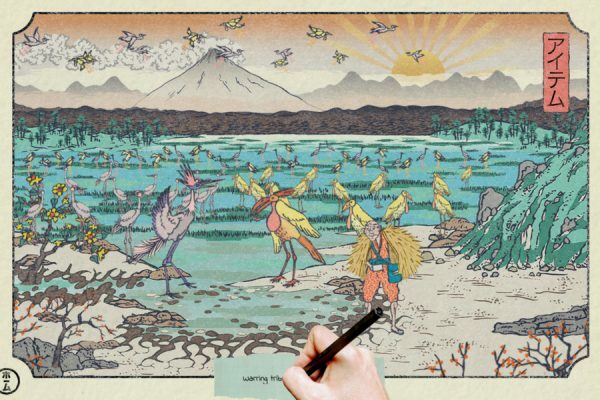 Can you tell us a bit about what software and tools you’re using for game development? Yeah so Warriors of Ragnarok is developed using Unreal Engine 4, though I’m also using Visual Studio 2017 as a lot of the code at the moment is written in C++. To create the 3D models and animations we’re using Maya LT and to texture we’re using a combination of Substance Painter and Photoshop. We have a lot of students and game developers – both successful and aspiring – in the Welsh Gaming Network. Have you enjoyed your masters in Computer Game Development and do you think this is a good option for people looking into game development as a career? Do you have any tips or advice for anyone still in high school and thinking about their future education choices? Yeah, it’s been great, it’s a lot of work but I’ve enjoyed all of it. We’re the first year the course has been ran so I’m expecting the course will change but considering it’s the first time running it, it was executed really well. I think going to university if you want to become a game developer is a good idea, it gives you time to hone your skills in a supportive environment before entering into the industry. For anyone thinking about going to university I would always say go to open days and ask as many questions as possible, and make sure you know exactly what the course can offer you. I would also recommend to start learning now, we’re at a really good stage in the industry with a lot of the tools required being free, and there being a lot of learning resources around there’s not much reason not to start now. Find out more about Wrexham Glyndwr and their new Computer Game Development BSc (Hons). We’re obviously about the Welsh connection over here – do you plan to stay in Wales to work after your degree and how do you feel about the Welsh gaming industry at the moment? Yeah, at the moment we have no plans to leave North Wales. At the moment in North Wales there doesn’t seem to be many opportunities for game development. At the moment we’re working with Wrexham Glyndwr University to try and build a Game development hub in North Wales. To do this I’m trying to support students as much as possible, by offering mentoring and internships. Thanks so much to Ricky from Round Squares Studios for taking time out of his very busy schedule to chat to me about his projects and share some information with you guys. You can follow Round Squares Studios on Facebook and Twitter, as well as on their website. Give them a follow and show them some Welsh support! If you’re interested in Welsh Game development check out our interviews with other development studios, and you might also want to check out the Games Wales website who support the gaming industry across Wales. 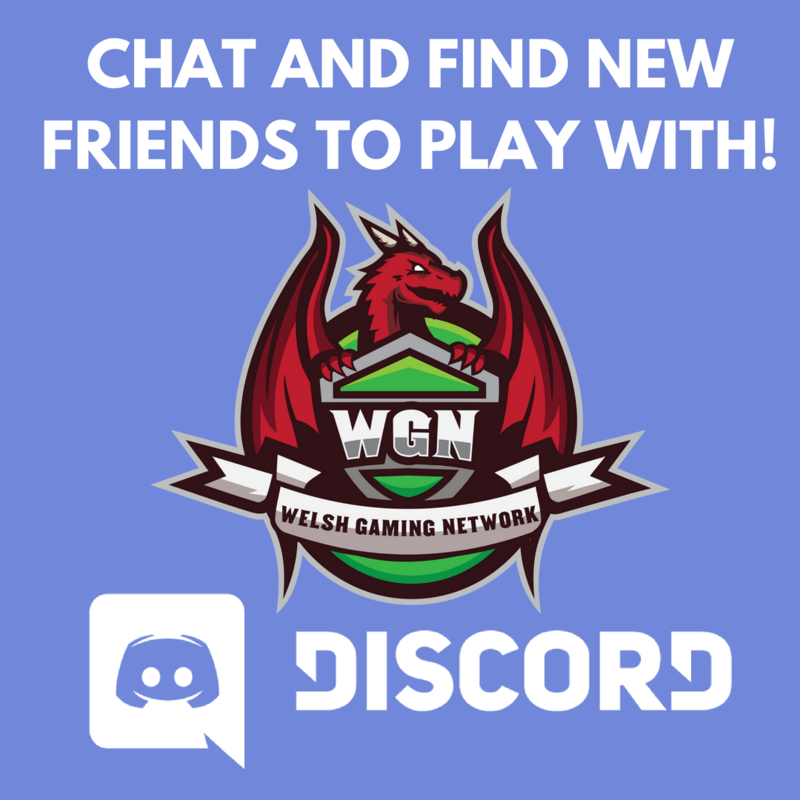 We also have a game development channel on the Welsh Gaming Network Discord where you can chat to other game devs and students!